The retail point of sale (POS) environment is a highly innovative and fast-moving category, with increased emphasis being placed on adaptable payment solutions, utilising latest generation secure technology. Miura's M007 secure pin entry device (PED) is elevating payments to a pioneering level of mobility; blending the physical and security demands of high volume multi-lane retail with mobile technology. 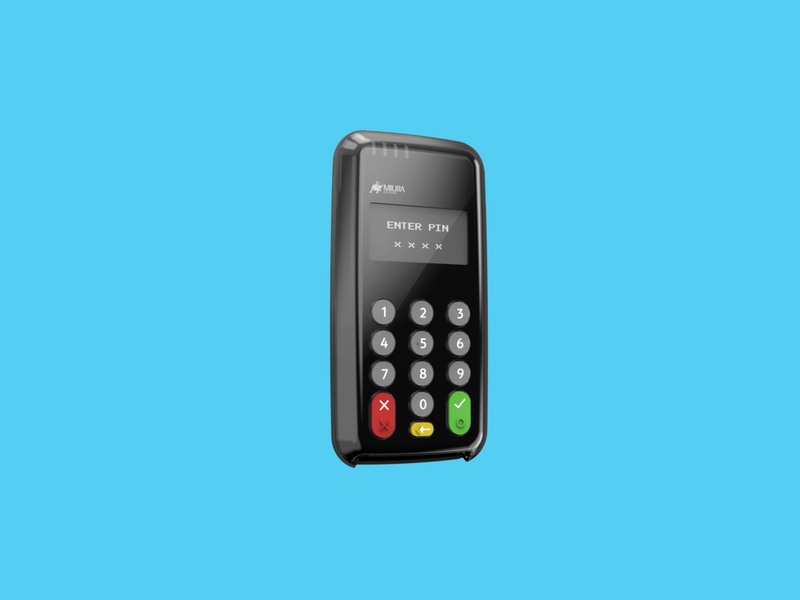 It is the lightest PED on the market with a 'consumer' centric design, presenting the consumer with large, well defined keys and a simple intuitive user interface making the payment experience uncomplicated and faster. The M007 is combined with a dynamic docking stand, bringing true innovation to the retail landscape by allowing the device to be removed to give merchants greater flexibility. The unique docking mechanism has been engineered to provide fast and easy use. The elegant forms of the M007 have been developed to compliment the high concept interiors of retail environments from boutique fashion to multi-lane retailers. Merchants invest heavily in design to improve the consumer experience and demand that design doesn't stop when you reach the point of sale.